OLD PARKED CARS. 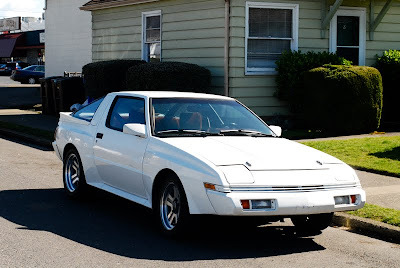 : Badgeless 1987 Mitsubishi Starion ESI-R Coupe. 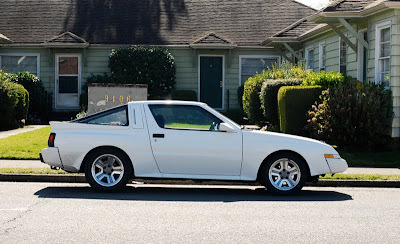 Badgeless 1987 Mitsubishi Starion ESI-R Coupe. In my opinion, the best OEM wheels ever made. Note the staggered widths. We have quite a few of those Starquests driving around here. There is a white one just like that... 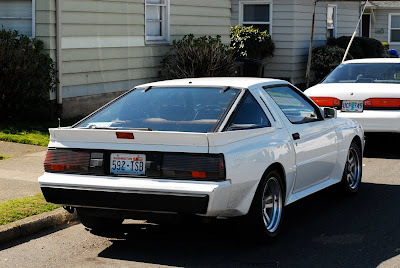 I saw it parked at the beach a few weeks ago.